An airman guides a U.S. Air Force C-17 Globemaster after it returned from delivering cargo to Baghdad, Jan. 9, 2016 to a base in an undisclosed location in the Persian Gulf Region. The United States Air Force has been authorized to recall as many as 1,000 retired military pilots to active-duty service to address an acute shortage in its ranks. President Donald Trump signed an executive order Friday allowing the Air Force to call back to service up to 1,000 retired aviation officers who wish to return, the White House and the Pentagon announced. An Air Force spokeswoman said, however, that there are currently no plans to recall any retired pilots. By law, only 25 retired pilots can be recalled through voluntary programs to serve in any one military branch. Trump's executive order temporarily removes this limit by expanding a state of national emergency declared by President George W. Bush after the terrorist attacks on Sept. 11, 2001 as part of efforts "to mitigate the Air Force's acute shortage of pilots," according to Pentagon spokesman Navy Commander Gary Ross. 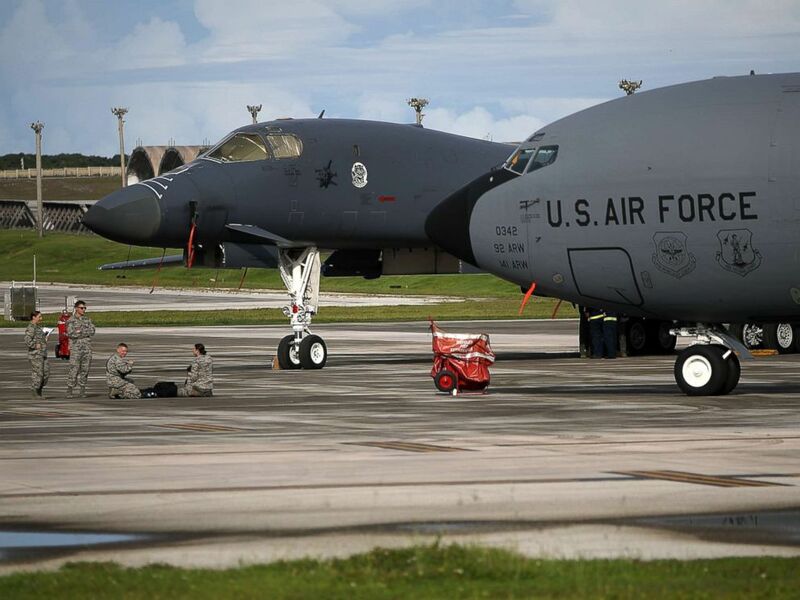 A U.S. Air Force Rockwell B-1B Lancer (L) and a Boeing KC-135 Stratotanker (R) sit on the tarmac at Andersen Air Force base, Aug. 17, 2017 in Yigo, Guam. Secretary of Air Force Heather Wilson has said the service was short 1,555 pilots at the end of the 2016 fiscal year, including 1,211 fighter pilots. To help make the pilot job more attractive, the Air Force expanded its aviation bonus program in August and increased incentive pay earlier this month for officers and enlisted crew members for the first time since 1999, according to Wilson. On Friday, the government announced it was going further with a recall of retirees into active service. "We anticipate that the Secretary of Defense will delegate the authority to the Secretary of the Air Force to recall up to 1,000 retired pilots for up to three years," Ross said in a statement Friday. "The pilot supply shortage is a national level challenge that could have adverse effects on all aspects of both the government and commercial aviation sectors for years to come,"
ABC News' Sarah Shales contributed to this report.